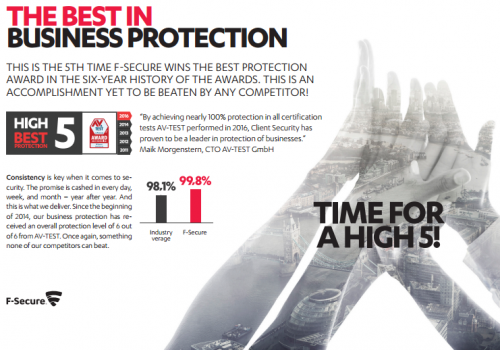 F-Secure win yet again – time for a high 5! This is time to be proud as Midland Computers is one of very few Gold F-Secure partners (in fact the only one in Shropshire) - and if you already use F-Secure you should be proud too. If you don't currently have F-Secure as your AV what are you waiting for?